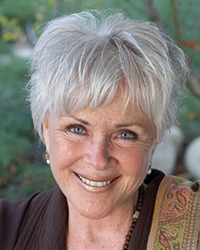 Byron Katie, author of Loving What Is and A Thousand Names for Joy, woke up one morning in 1986 at the bottom of a ten-year fall into depression, anger and addiction, and realized that all suffering comes from believing our thoughts. She saw that no one is separate from anyone or anything. Many people have moments of clarity, but Katie went further. Questioning every painful thought she had, she developed an amazing way to pass on her experience, a method of inquiry she called The Work. For more info, visit www.thework.com.